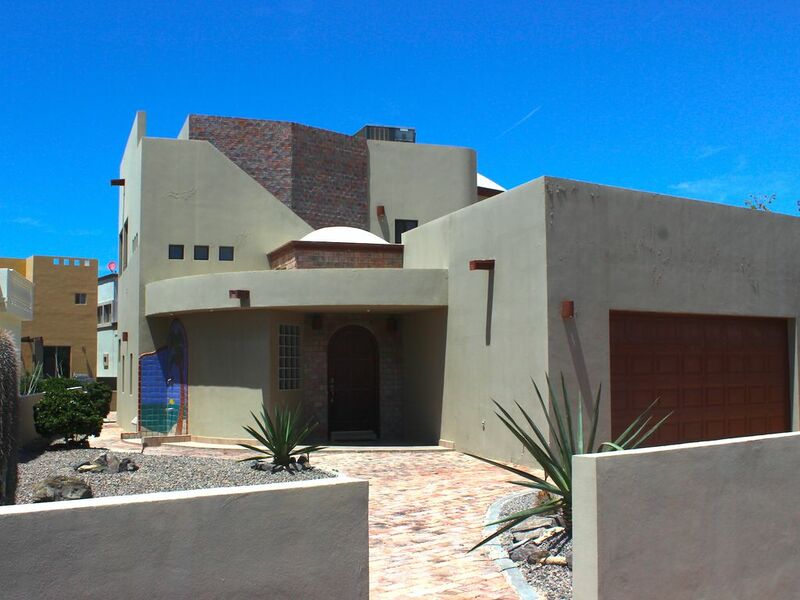 GREAT VACATION HOME AT SANDY BEACH, CASA LOS 6 AMIGOS IS A FANTASTIC PLACE! Sandy Beach is an exclusive beach where most Rocky Point guest want to stay. The beach is filled with tourist due to the resorts next to the community of Costa Diamante. You will find fun activities and enjoyment with, banana boat rides and jet skis rentals and sunset cruises. This beautiful 6 Amigos home is located in Costa Diamante. It is located only a few short steps from the beach. You will find clean sand and clear waters. The home is located walking distance to restaurants and convenient stores located in the nearby developments. It is a short drive to downtown Rocky Point, where you will find all of the fun and excitement the city is known for. Four bedrooms that are located downstairs, two with king size beds, one with two queen sized beds, and the last with a queen sized bed as well. Upstairs is the kitchen, dining room and living room. A/Cis available throughout, with washer and dryer also on hand. The owner request no pets, and no smoking inside. NO GARAGE IS AVAILABLE AT THIS HOUSE. December, January and February rent 2 or more nights and get one free, except holidays. The house has an amazing view on the terrace coming out of the living room. The home is only a block behind from the ocean. You will be able to experience the sunsets and sunrise every morning from the terrace. Great time, nice relaxing, quiet location on a nice piece of property. with a nice view from upstairs and a very short nice walk to the Sandy Beach. It was hard to find using Google Maps but the guards at each gate were very hopeful. I would highly recommend this property to everyone! Very nice home it's in a nice community. We really enjoyed our stay. Casa de 6 Amigos was located in the gated community of Costa Diamanté. Great staff, awesome locations, sandier strip of beach on sandy beach and a very nice pool/spa. The four bedroom house was very well equipped and very comfortable. Loved dining on the deck overlooking the surf. Plenty of room for 8 away from the insanity of spring break just a few blocks away. Easy access to downtown dining and shopping, yet just far enough away.